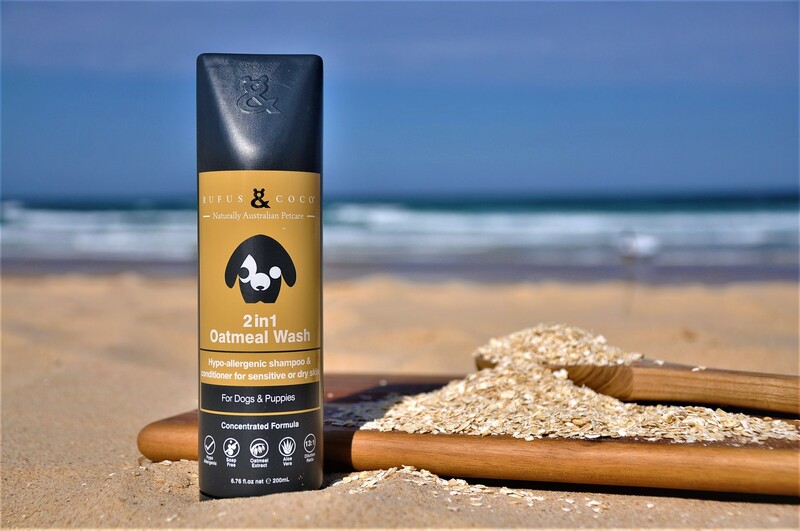 2in1 Oatmeal Wash is a gentle shampoo and conditioner in one suitable for all pets, especially pooches with sensitive skin! 2in1 Oatmeal Wash is concentrated, so a little goes a long way! Cocomide DEA Oatmeal Extract: Oatmeal extract soothes irritated or itchy skin. It's perfect for pooches that are a little on the sensitive side! Aloe Vera gel: Moisturizes and promotes healing, extracted from the succulent aloe vera plant. Panthenol (Pro Vitamin B5): This plant-derived ingredient acts as a penetrating moisturiser. It coats the hair and seals its surface, lubricates follicles, aids de-tangling, provides volume, control and makes strands appear shiny. Hydrolyzed Wheat Protein & Wheat Starch - Helps to strengthen and hydrate hair while increasing gloss, body and lustre, and reducing static and fly-aways. Hypoallergenic fragrance - Our specially formulated signature scent is designed by perfumerers to be free from all known allergenic fragrances, and to evoke the fresh aroma of the Australian backyard. Total ingredients: Water, Sodium cocoyl glycinate, Hydrolysed Wheat protein and Hydrolysed wheat starch complex, Cocamidopropyl betaine, Lauramide DEA, d-Panthenol, Glycerine, Citric acid, Oatmeal Extract, Aloe Vera Extract, Perfume, Preservative. 2in1 Oatmeal Wash does NOT contain Sulfates, Parabens, Oxylates or Soap! 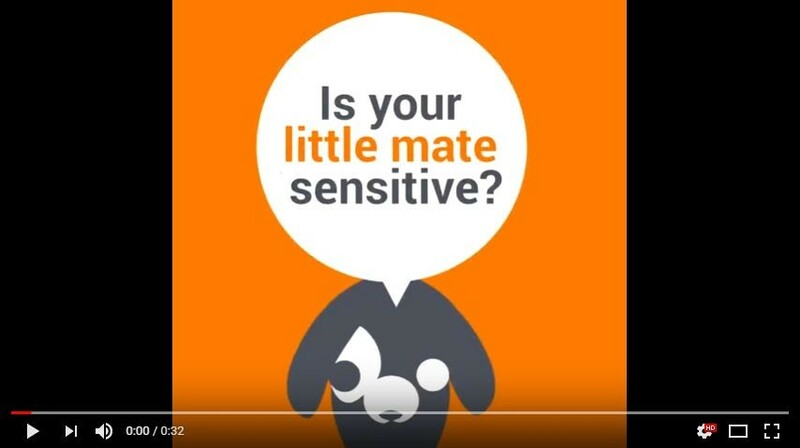 How to care for coats: First, get your little mate all wet with warm water. Now apply some Rufus & Coco 2in1 Oatmeal Wash to a few different areas of the coat, and massage it in to get a really good lather going. Then simply rinse, and towel or chamois dry. Do this whenever your pet needs a wash, and use Rufus & Coco’s 3in1 Pamper Spray after or between washes for a super glossy rockstar finish. Q: Why is using soap in washes a bad idea? A:Because using soap in a dogs wash will affect their skin as their acid layer of their skin will be disrupted. This can create an environment where bacteria, parasites, and viruses can breed and out of control! Unknowingly, many pet owners may repeat washings of their dogs because of the smell caused by a proliferation of bacteria, making the problem worse as the skin's acid layer (pH level) becomes more imbalanced. Additionally, if the shampoo makes the skin feel dry, your dog will scratch at its skin, creating abrasions for bacteria to invade. It quickly becomes a vicious cycle. None of the Rufus & Coco washes (shampoos) contain soap. Rufus & Coco products use a natural base and formulation specifically designed to the average skin pH level of an dog. Consider that the normal range of skin pH levels for humans is 5.2 to 6.2, which means it tends to be on the acidic side, whereas the the pH levels for dogs range from 5.5 to 7.5, tending toward a more alkaline concentration. Hence we never recommend using human shampoos on dogs and we eliminate the soap all together in our dog washes. Many humans choose soap free alternatives too for the same reason!